Eric Gossard has been a constant figure in local real estate since he was licensed 20 Year ago. In 2005 Eric was recognized by his former franchise as one of the top 100 Realtors in America. 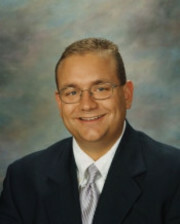 In 2006 Eric was recognized as the Pen-Mar Realtors Pennsylvania Realtor of the Year. In 2008 Eric was the President of the Pen-Mar Regional Association of Realtors. In 2009 Eric was a member of the Pennsylvainia Asssociation of Realtors Board of Directors and In 2009 & 2010 Eric recieved the Bronze Award from Exit Realty International for his level a real estate sales and production. What dose all this mean? If someone is recognized this much and this often then they must be doing something right. For professional service from a realtor with the experience to back it up call Eric Gossard for all your real estate needs!! !